If you want a guid to all of the hotels, motels, resorts and holiday apartments that are situated in Miami Beach on the Queensland Gold Coast then Ozhotels is the right place for you. It allows you to deal directly with any one of these apartments and resorts, making sure that you get the best possible rates for your Miami Beach accommodation. Therefore for your next holiday book your resort or apartment accommodation in Miami Beach online and get great value for money rates. The next time that you decide to have a holiday on the Gold Coast tou you consider staying in Miami Beach because there is a wide variety of different places for you to stay in. These range from fully self contained holiday apartments and resorts through to hotels and budget motels. This extensive variety makes choosing the most appropriate accommodation in Miami Beach a time consuming and difficult task and this is why many people prefer to use the services of an accommodation expert like OzHotels to help them find the right place. This service a;;pes them to compare lots of different properties that are located right across Miami Beach, ensuring that they get one that meets their needs and travel budget. The main benefits of using OzHotels is that you will be able to book up to 12 months in advance and that you will get an extra discount off the already cheap rates for longer holidays. So why not book your next holiday to Miami Beach directly with OzHotels and save yourself lots of time and money. The White Lanterns Hotel on Miami Beach has a range of budget motel accommodation that is located in the heart of the fabulous Gold Coast. This great location places the White Lanterns Hotel only minutes walk from the patrolled surf beach, shops, restaurants, cafes, clubs, sports and recreation facilities. 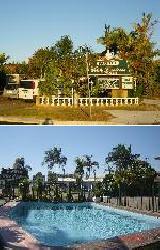 The White Lanterns Hotel provides all types of travellers with discount accommodation in Miami Beach. It also features a wide range of modern amenities and services such as direct internet access, free car parking, room service, outdoor swimming pool and a landscaped garden area. This 3.5 star Gold Coast accommodation property is perfectly positioned right in the heart of Miami Beach. 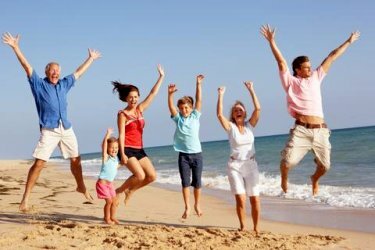 The Sunshine Beach Resort offers a combination of personalised customer service and attentive friendly staff with the local knowledge which ensures that your Gold Coast family holiday will be a relaxing and memorable one. Guests staying at the Sunshine Beach Resort can enjoy the resort facilities which include a great swimming pool with outdoor furniture, BBQ area, spa, off-street car parking and guest laundry. This discount Miami Beach accommodation is situated on the Gold Coast Highway only a short stroll to one of the Gold Coast most famous beaches, Miami Beach. 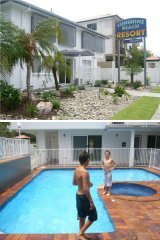 The Sunshine Beach Apartments are also located close to shops, public transport, tennis courts and restaurants. For more Miami Beach Apartments click here.